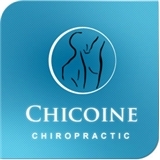 Chicoine Chiropractic (Austin) - Book Appointment Online! Our mission is to offer safe noninvasive heath care to patients of all ages to help them attain and maintain wellness. Our clinic offers chiropractic care for the whole family, from newborns to adults and throughout pregnancy. Our goals are to improve posture, flexibility, and strength to help all of our patients attain and maintain greater health. She is what every health professional should be. Very professional and excellent knowledge.